A seasoned yachtsman at the hospital’s helm: Mehiläinen Neo Sports Hospital’s former Medical Director, Jussi Rantanen, keeps a watchful eye on medical competence and quality. 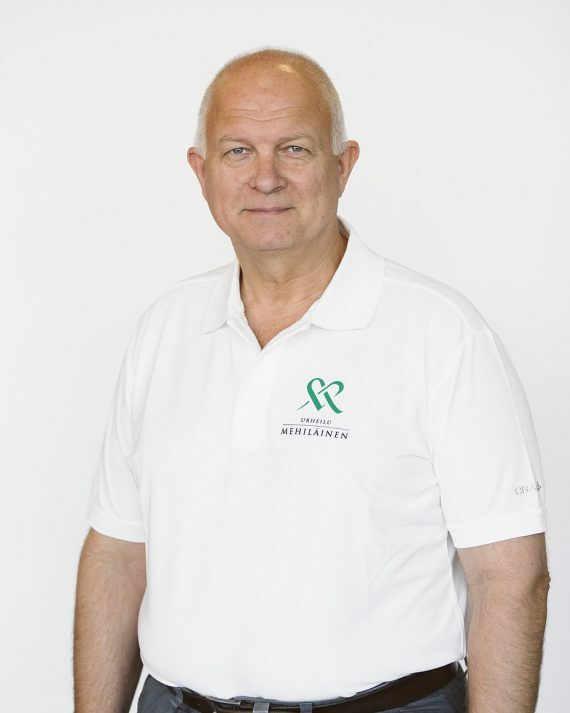 Jussi Rantanen was the Managing Partner in the founding of the group that now forms the heart of Mehiläinen Neo Sports Hospital. Despite his commitment to management, he also continues his clinical career as a knee and ankle specialist. He is an Associate Professor appointed by the University of Turku, and he completed his doctoral thesis on muscle injuries. Rantanen is also a former professional yachtsman whose achievements included being a crew member in an around-the-world sailing competition, The Whitbread Race, in 1989-1990. 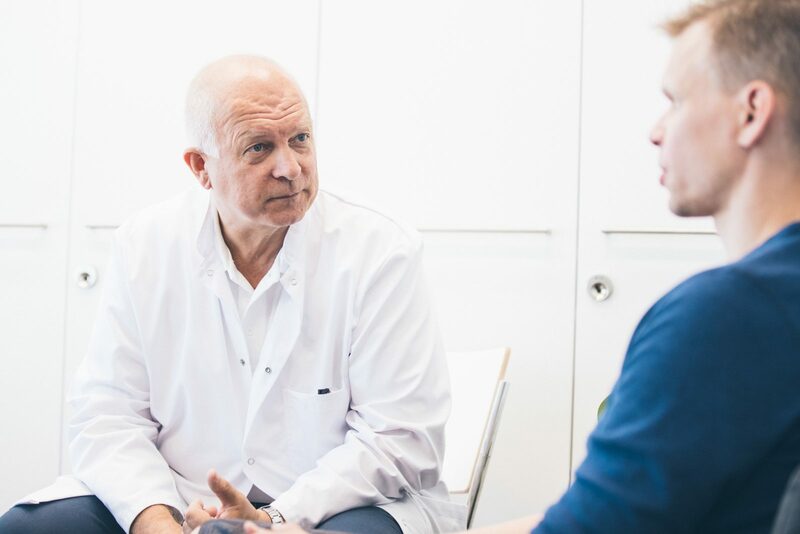 Having dreamt about establishing a private hospital focused on orthopaedics since his university days, Rantanen was the initiator of the Sports Hospital concept. The dream started to become realised in the summer of 2010, when renovations to transform a former supermarket property into a modern hospital began. In March 2011, Rantanen inaugurated the new hospital together with Professor Sakari Orava and the then Finnish Minister for Foreign Affairs, Alexander Stubb. “At the hospital, we focus on areas in which we excel. For patients, that means purposeful, cost-effective and high-quality care. Having familiarised ourselves over the years with the methods and processes of more than 30 different surgical units, both in Finland and abroad, we were able to adopt the best operating models at the hospital,” Rantanen explains. Jussi Rantanen had always admired the doctors who formed a part of his parents’ circle of friends. Around the age of 15, he became interested in the profession himself. Sailing and basketball were also close to his heart, having competed in the sports since the age of 12. Rantanen graduated from the University of Turku Medical School in 1988 and completed his thesis on muscle regeneration in 1995. His opponent, Markku Järvinen, who at the time was a Professor at Tampere University and a renowned orthopaedic sports surgeon, introduced Rantanen to several top international professors of sports medicine. Rantanen subsequently moved to North Carolina for one academic year, with his family in tow. There he worked at Duke University’s Department of Sports Medicine under the tutelage of Professors Bill Garrett and John Feagin. In Rantanen’s generation it was usual for doctors to complete general surgical residencies first, and only decide which area of surgery to specialise in thereafter. According to Rantanen, the year he spent in the US helped to cement his decision to become an arthroscopic sports surgeon. “On my return to Finland, I immediately called Professor Sakari Orava and asked if he would be my mentor. My collaboration with Sakari started in 1998 and has continued ever since. I guess it was initially the engineer in me that came out in surgery, wanting to do something with my hands. I think deep down I must be a kind of academic carpenter,” says Rantanen. Rantanen’s patients typically suffer from knee injuries, the two most typical types being knee pain in middle-aged patients and accidental anterior cruciate ligament injuries in young athletes. “Knee injuries have substantially increased. We now have a generation of over-40s who actively engage in physical activity and who are not willing to compromise on their lifestyles. Although people are living longer and healthier lives, the anatomy of the knee is still the same as it was 3,000 years ago, when the average lifespan was maybe half of what it is today. Typically, the ‘best before date’ for the human locomotor system is the age of 40. That’s when the problems begin,” Rantanen says.